About a month and a half ago I presented a Jeskai Delver build that I had been tinkering with, and today I have some changes to discuss. I was able to play a 61-person event last weekend, piloting an updated version to the semifinals of the event, where I was ultimately felled by Jund, which is among Jeskai Delver’s worst matchups. There are two major changes from my previous article. I decided that it’s fine to have both Path to Exile and Mana Leak in the maindeck, and that Electrolyze deserves at least as many slots as Lightning Helix. The plan is to board either the Leaks or the Paths out, though both have their uses in most game ones, and both stay in post-board against decks like Jund just due to the diversity of cards that matter. With regard to the burn spells, Electrolyze has consistently over-performed while Lightning Helix has been consistently medium. If not for the difference in mana costs, I would already be playing a 4-2 split in favor of Electroylze—as is I would consider making that change anyway. When building the manabase, I replaced Arid Mesa with Misty Rainforest since I wanted basic Island way more than the other basics and because I don’t own an Arid Mesa. Very scientific. I cut down to one Hallowed Fountain as the deck is generally looking for double red and seldom for double-white, though having a fetchland that can only find one source of one the deck’s colors is probably just bad deckbuilding. The Misty should just be a Mesa, and I did play a game during the swiss in which I controlled five lands and was unable to cast a Gideon. Anyway, let’s talk about some games from this weekend! With 61 players that meant six rounds of swiss play, and my round one matchup was quite fitting. Grixis Delver is a very interactive deck, which is where Jeskai Delver is a little weaker. Luckily, my opponent was playing the Young Pyromancer version, which meant that his built was a bit worse at interacting as well. Three copies of Electrolyze was also a significant edge that my list had here. I lose game one to a Tasigur that I’m unable to Path, and things look grim when I reach for my sideboard. When I play Grixis, I’m able to board out my Delvers. With this build, I know that I won’t want Mana Leaks for this matchup, and I don’t have a ton of cards that I want to bring in. I opt to bring in Magma Spray, the Gideons, and Dispel over the Leaks, and hope for the best. Despite leaving Delvers in, I take the draw because even with a bad win condition, the matchup is still about attrition. I am pleased to see that my opponent also left his Delvers in, and I win game two pretty easily. Game three is weird, as I miss my third land drop for like, ten turns, but have ways to barely hold on with a hand full of uncastable Spell Quellers. My opponent played a Delver while I was still stuck on lands, and didn’t flip it on the following turn, presumably because he drew the second Delver that he played that turn. On my turn I hit my third land drop, and somehow my Electrolyze on both Delvers resolved, and suddenly it was my game to lose. This should be a bad matchup, though the Pyromancer builds and lists that are unable to board out Delvers make things much easier. I got Tronned pretty hard in game one, and really wished that I was on Tasigur to have more access to fast clocks. Given the density of burn spells in my list, I decided that I would focus on playing like a Burn deck. I elected to board out Path to Exile instead of Lightning Helix and Electrolyze, given that I probably wasn’t going to beat a Wurmcoil Engine on the play if I couldn’t win in one turn anyway. I won game two by dealing exacties the turn my opponent dropped a Wurmcoil, and felt pretty good about my decision. For game three I brought two Paths back in as I felt much less favored to actually close on time while on the draw, though the game didn’t exactly play out like a race. My opponent played a Chromatic Star off of Urza’s Mine on turn one, while I declined to play a Delver and just left up a fetchland on my turn. My opponent played a second Mine, cracked his Star to attempt a Sylvan Scrying, and the Spell Pierce that I tagged it with basically won the game on the spot. In game one I drew a few counterspells and lost handily to both a fast hand and Cavern of Souls. Post-sideboard I turned my Spell Snares into removal spells and things got a lot better. There is some merit to hoping they don’t have Cavern so you can counter a Dwynen’s Elite, but I’d rather just try to form a more consistent gameplan. My plan was to set everything on fire and leave in Mana Leaks to hit Collected Company and Chord of Calling. Things went much better post-sideboard, and while many games will be tight, I feel that this matchup is favorable. My opponent’s build was either very close to Caleb Durward’s list or Durward’s list exactly, and I was pretty unhappy to be playing Path to Exile against a Mausoleum Wanderer-plus-Geist of Saint Traft deck. I was hungry, because somebody (who shall remain nameless) did not take my lunch order, and I made several mistakes during this match. The most punishing was casting a Snapcaster Mage to flashback a Path to Exile in the hopes to hit a Spell Queller… which was being protected by a Drogskol Captain at the time. To be fair, I do think this matchup might be kind of poor, though it seems winnable and my play wasn’t doing me any favors. I imagine that this matchup is better for Grixis Delver given how horrible Path is here. A few things have to line up well for you to beat Jund. If you don’t have a Snapcaster Mage or a Mana Leak when they cast Liliana of the Veil, you’re likely in trouble. I was able to take game one without much of a hitch due to drawing the right spells against Liliana, and my opponent took game two convincingly after I mulligained. In game three I was able to keep pace and even pulled slightly ahead before hitting my fourth land and slamming Gideon. If the game is even remotely close when you cast Gideon, you will probably win very easily. I felt good stealing one from a tough matchup, and it was time to find out what the last round would look like. There were too many 12-point players to consider a draw, so I had one more match to play to try to lock up a Top 8. My opponent was on a spicy brew featuring Heartless Summoning, Grand Architect, Myr Superion, Wurmcoil Engine, and Tezzeret, Agent of Bolas. It did a lot of cool things, but nothing that my deck has much of any difficulty interacting with. Given the access to Tezzeret animating Darksteel Citadel and Wurmcoil Engine this was one spot where I was pretty happy to have Path to Exile. A win here locked me as the second seed of the tournament. I sat next to my opponent earlier in the tournament, and knew that he was on Smuggler’s Copter and Bitterblossom. I knew Spell Snare was an important card for me, and that Thoughtseize was a powerful countermeasure from his side. Back when Faeries was the best deck in Standard, and when it was a great Extended deck, I was always the player who piloted it in my testing group. I’m very confident in my ability to navigate my way through such a blue mirror, though the discard spells specifically threatened to give my opponent an edge. The way that our games played out, the most defining factor was the respect I showed Spellstutter Sprite—I was consistently able to kill creatures in response to its trigger to stop it from countering spells. Despite losing game one to a Bitterblossom, I was able to take the match. My opponent hit me with a discard spell early in game one and saw two Spell Snares. He followed up with a Liliana, to which I had no answer. I discarded cards to maintain Snares in my hand, while he patiently kept two-drops in hand until I had to discard them. I desperately needed Electrolyzes and Snapcaster Mages off the top of my deck, but I found only garbage and eventually succumbed to Liliana. Game two started out a little better, and I was even able to keep parity for a while. I landed a Gideon, though it was felled by the lone Maelstrom Pulse in my opponent’s deck. When I cast Vendilion Clique on my opponent the following turn and saw three Tarmogoyfs in hand to my zero Spell Snares or Path to Exiles, the writing was on the wall. As I’ve said, Jund is a matchup where you would much rather be on Grixis Delver. Going forward I wouldn’t make too many changes. I would likely add the fourth Electrolyze, and might find some other way to cut one or both of the other Lightning Helixes. That card was pretty dang bad. I honestly don’t hate the idea of a 22nd land, and something like a Cryptic Command or some other such big spell could be spicy. I could even see the argument for a maindeck Gideon. I would of course also remedy the Misty Rainforest/Hallowed Fountain situation, likely by getting my act together and buying an Arid Mesa. This tournament was a great learning experience, and did a lot to bolster my confidence in Jeskai Delver. I played a deck that is configured to beat up on linear decks. Despite playing against several interactive decks—decks I had sacrificed percentage points against compared to Grixis Delver—I still managed to make the Top 4. This is evidence that Jeskai Delver is more than just a metagame deck. Hii. Your articles are great!!. I am playing a similar deck but with young pyromancer. I want to know for you, in which match ups a young pyro decklist has a better matchup than a list without young pyro. I think young pyro is good against jund and the match is very equal. Greetings!! Sweet stuff Ryan. So it appears Grixis Delver is an excellent deck but requires tighter play than many modern decks to do well consistently. That’s my theory of why Jund is consistently more popular as it is less punishing of mistakes(goyf doesn’t hurt but tasigur lines up well with it). Obviously treasure cruise made delver(izzet/grixis) amazing but wotc thought it too good. So my question. Could you design a card(likely a cantrip but any card) that would help return delver to it’s former top 3 deck status without making the deck busted? I’ve been thinking and my mind naturally goes to cards like ponder and preordain(brainstorm should never ever enter modern). But as I thought about it, I thought that might make decks like ad nauseum too good. So what card would you design or unban? I think that Opt would be a very significant upgrade over Serum Visions. The question is whether Opt is too good for Modern. I’m not holding my breath on it or a similar card entering the format. I have questions regarding the Grixis Delver Match Up. I played against a good friend of mine, who played your Grixis list and I found, just as you did, that the Match Up is unfavourable but not unwinable. Against the pyro version I would leave Electrolyze in but what about the non pyro list ? There I don’t like a 3 Mana Shock. I tried to play the controll deck and boarded out Delver, since they have enough removal and we don’t have many ways other than dispel to protect him. I know that they are the better controll deck but Gideon is such a haymaker. In the postboard Matches my gameplan was to get my Quellers countered on turn 3 and drop Gideon on turn 4. Other than Bolt Snap Bolt they then don’t have much of an option on how to deal with him. What do you think of this approach ? I honestly would also leave the Mana Leaks in, I like the helixes/bolt less because they also board out Delver. If you have Gideon on the board, do you start clocking them for 5 a turn or do you just build an army with the tokens ? 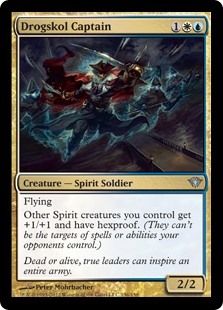 Regarding Lightning Helix, I think the card is kinda weak, but it gives us range, which is what we want against decks like Tron, it improves the Burn match up by alot and is also good against Infect and creature decks in general. Do you honestly think that Helix does not deserve any slots, or are you abit biased because you did not play versus decks where it is good ? Thanks alot for sharing your tournament results with us!